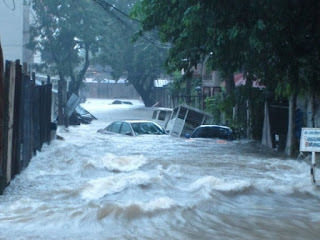 Typhhon Ondoy flooded the entire city in Philippines...(Metro Manila)..and may other deep places in the country. I don't really keep up as much with the Latest news in the Philippines but when I heard the news from my dad, I actually tuned in to the Filipino Stations on tv to see what's goin on. It was really shocking what happened there. I heard that it was a lot stronger than that Hurricane Katrina. This happened like 5 or 6 days ago...and I heard that a new typhoon is about to hit again in a few days. I used to lived in Valenzuela city in Manila, I wonder how the situation is over there. 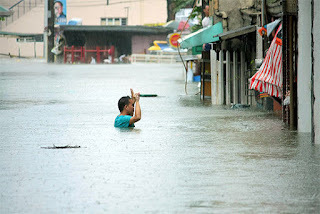 As far as I know, Philippines is somewhat accustomed to big storms, but I think this has to be the biggest one and the worst in the history of the country. 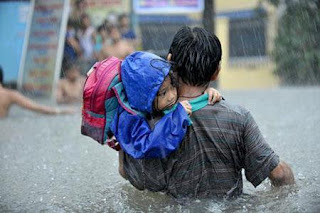 They're not even close to moving on from the damage left by Ondoy and they're about to get hit by another one. My prayers to all the victims.